Bandhani has a long and illustrious history in western India. The technique of wrapped thread resist evolved into a powerful expression of identity for cultural groups as well as a simple and quick pattern technique that could be applied to trade textiles. Bandhani gave us the “bandana,” a trade textile in its most popular form. Within India dense fields of pointillist dots became a mark of prestige—the closer and smaller the dots, the more difficult and time-consuming the textiles were to make. Fine patterns were prized above all others. Multiple colours and complex patterns flourished. Join brothers Jabbar and Abdullah Khatri as they explain how they work to maintain bandhani traditions. Their story is an unusual tale of a family returning to craft after skipping a generation. The brothers will explain the history of the technique as well as its modern development and the challenges facing artisans today. Jabbar and Abdullah join us from Bhuj, India. Jabbar and Abdullah will also teach a workshop and exhibit their work in the Five Artisans Exhibition. 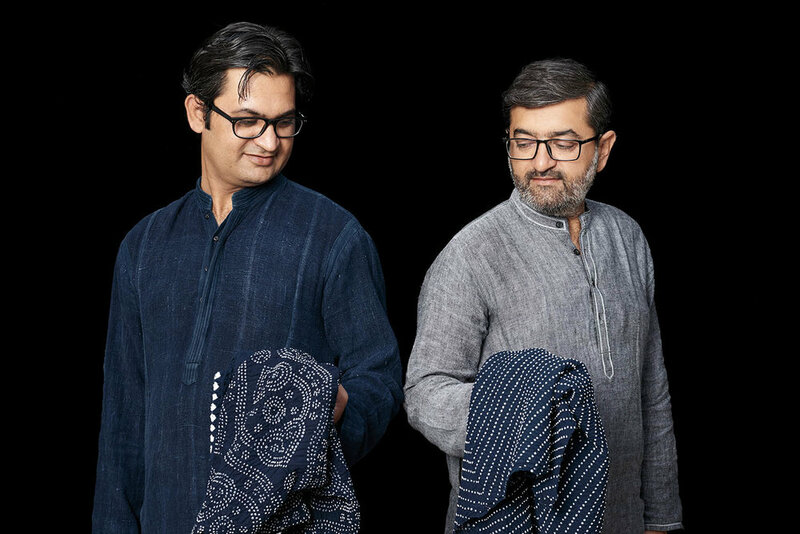 Jabbar and Abdullah Khatri have been working with traditional bandhani textiles for over 20 years. Bandhani is a family tradition, and although the previous generation abandoned the craft, Jabbar and his brother Abdullah have taken it up again. Bandhani is a centuries-old tradition of micro tie dye that produces exquisite pattern, design and texture on fabric. Today the brothers produce high-quality bandhani that promotes economic independence for village artisans and caters to an international clientele. The pair have received the UNESCO Seal of Excellence for 2006 and 2007, been invited to the Santa Fe International Folk Art Market many times, and been finalists for the International Folk Art Alliance Living Traditions Award.